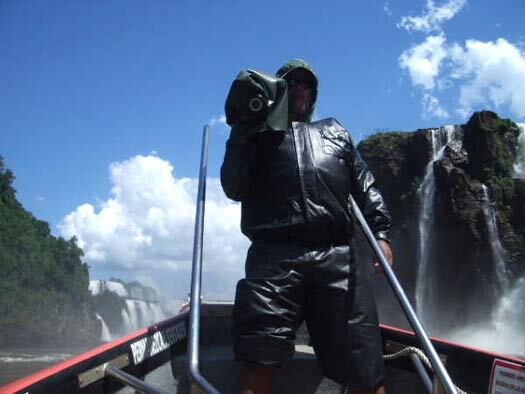 Not only will you get absolutely soaked and feel up close the power of the falls, but you also get bragging rights because no matter how you phrase it the fact that you took a small boat and motored into the dump zone to receive a sheet of water from some of the biggest falls in the world is undeniably sweet. 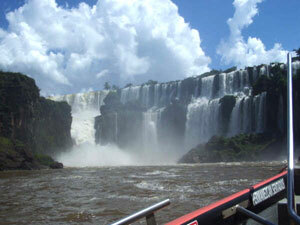 Tickets for the tour are available at the main entrance to Iguazu National Park on the Argentine side. The boat ride lasts about fifteen minutes and some of them stop at one of the islands in the gorge. Afterwards, you are left at a trail that allows you to explore the falls on foot or return to the entrance. There is an open-top truck tour that is essentially pointless unless you have an open-top truck fetish. I strongly suggest saving the extra pesos for a Quilmes. This page rendered in 0.481 seconds.